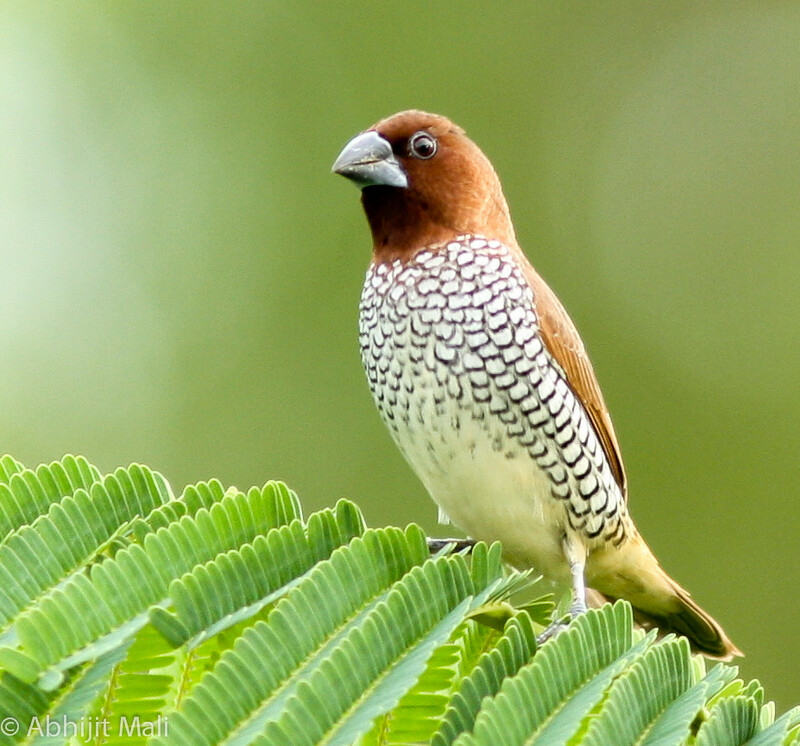 Spotted Munia are commonly seen in western ghats in Maharashtra. Spotted munia often sit on the trees nearby my house. They are also known as scaly breasted munia as they have scales on their chest. 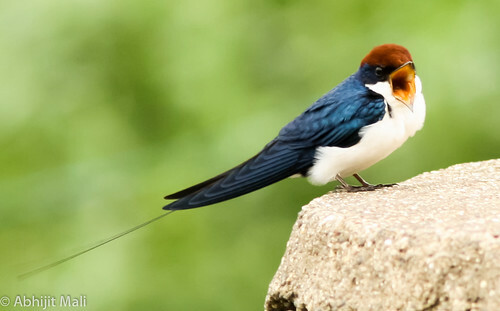 The breeding season is during the rainy season (mainly June to August in India) but can breed at other times.The calls include a short whistle, variations on kitty-kitty-kitty and a sharp chipping alarm note. 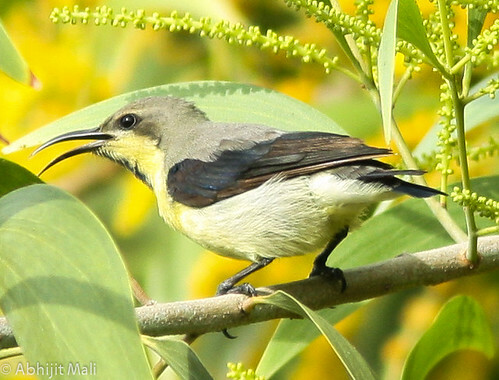 These types of sunbird are found in western Maharashtra. 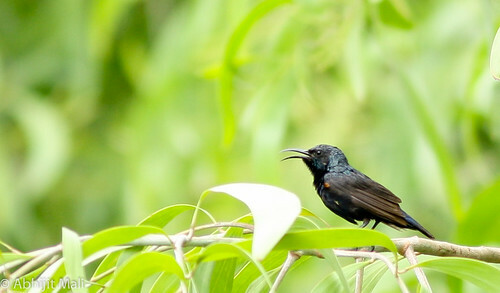 The above type is male purple rumpled sunbird. This one comes in front of my house nearly everyday and feeds on the nectar in the flowers on different trees. It does not stay at one place for long time and makes short and loud whistling sounds. 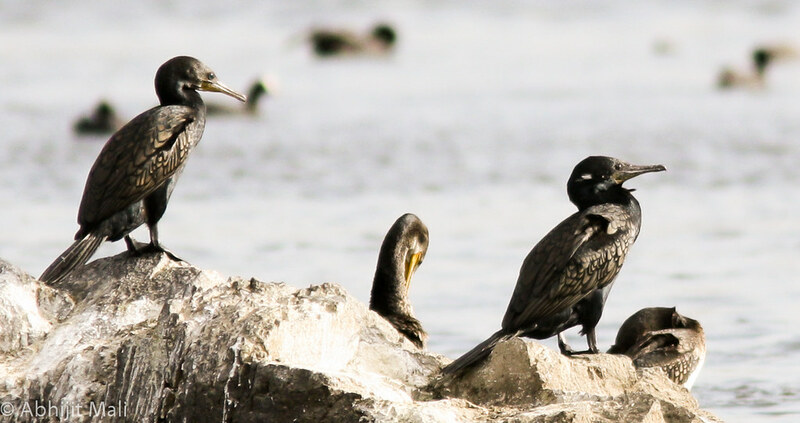 They are generally present in pairs and the other one is present nearby. 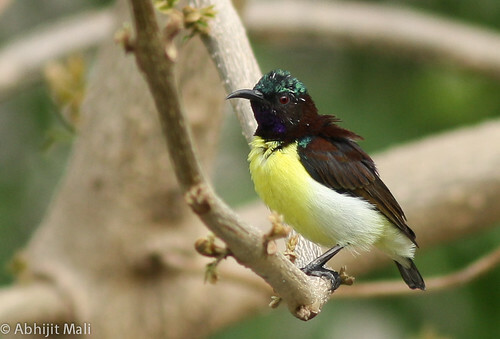 The male and the female purple rumped sunbird are different in size and differ in coloration. 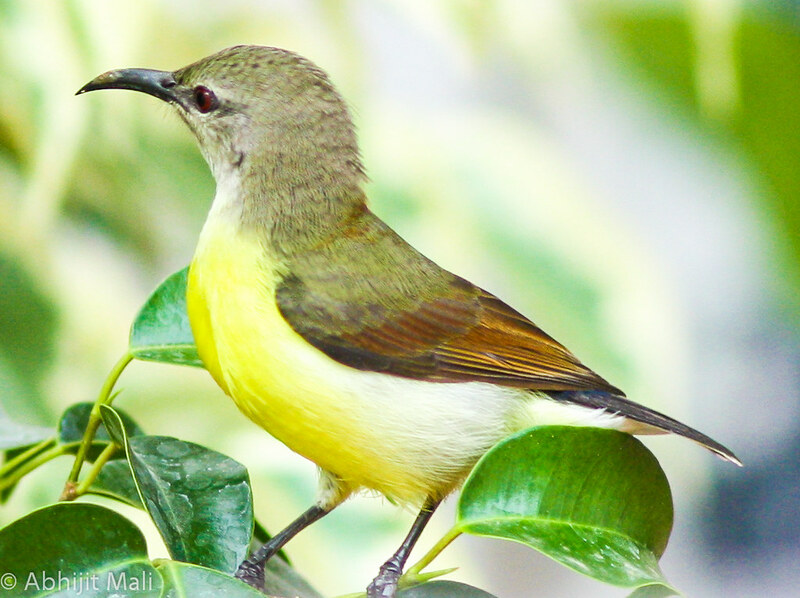 Below is a photo of a purple rumped female sunbird. The bird in the left hand side is the purple rumped sunbird female. 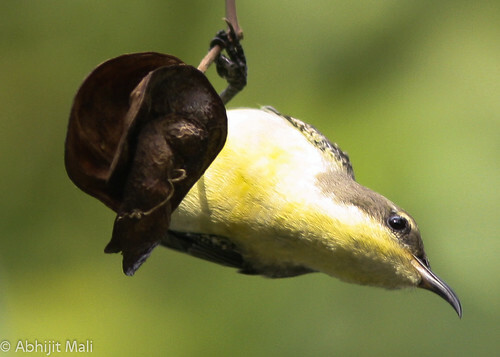 The male and the female sunbird are often seen together and move around in pairs.